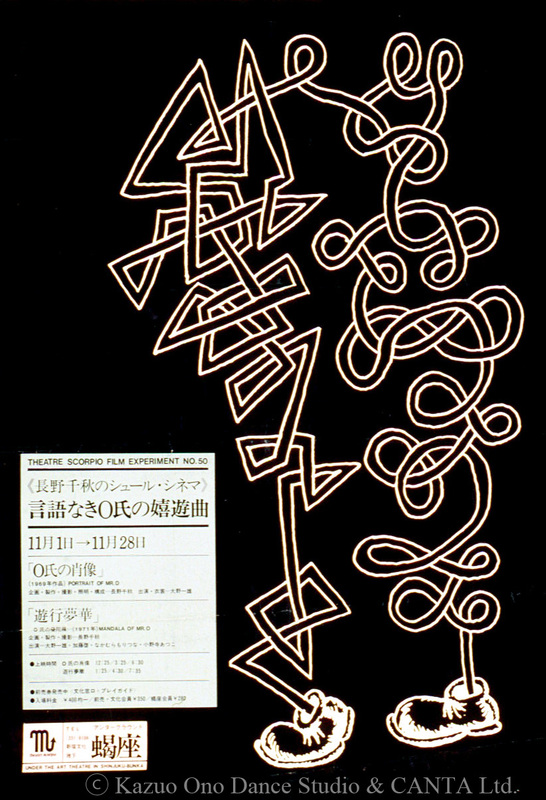 This is the poster for the screening of "The Portrait of Mr.O" and "Mandala of Mr.O," two of the 16 mm film trilogy which Kazuo Ohno created during 60s and 70s. The third film, "Mr. O's Book of the Dead," didn't exist yet at the time. 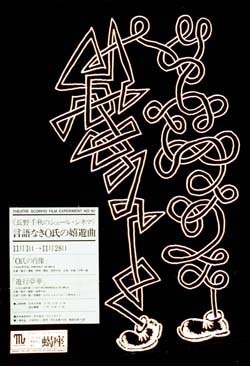 Even though there is no other material on this screening, there exist fine programs containing texts by avant-garde artists and novelists such asNatsuyuki Nakanishi, Koichi Tanigawa, Kunio Iwaya and the others.